Saute bacon and mix it with source.Add boiled pasta. 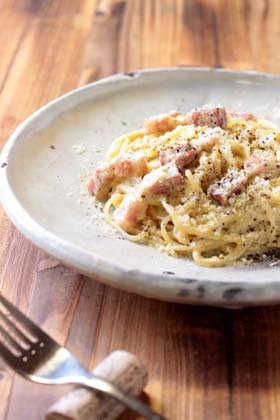 It is how to make easy and delicious carbonara. 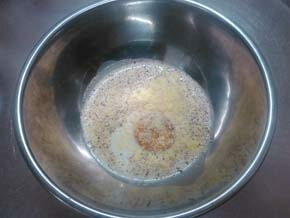 Add egg yolk, cream,Parmesan cheese and black pepper in a bowl. 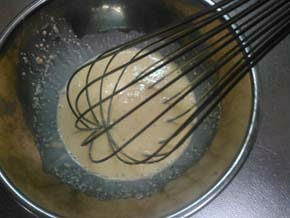 Stir sauce ingredients with a whisk. 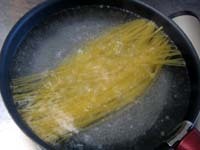 To boil water,Add salt.Boil the spaghetti. 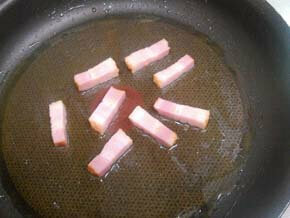 Put the olive oil in a frying pan,Saute bacon on low heat. 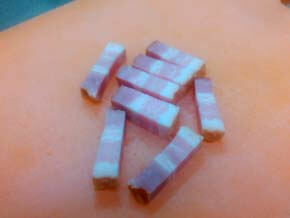 Colored lightly burnt bacon,With kitchen paper to absorb the oil. Pour white wine,Boil down to about 1/4. Turn off the heat,Adding a source. Lightly warm fire, turn off the heat. 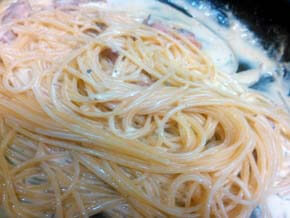 If spaghetti boils and goes up Put into the frying pan of sauce. 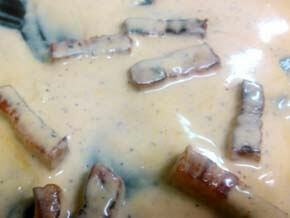 It warms by low heat and is the concentration of sauce. 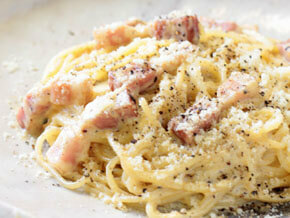 Serve it to a dish,Parmesan cheese, Black pepper is covered.